Maybe you’ve gotten used to that persistent creaking sensation in your knees. Or maybe the ache in your hips is new to you. But no matter what kind of joint pain you’re experiencing, you may be wondering why you’re experiencing it. Pain in the joints is extremely common — with severe joint pain affecting more than 14.6 million people in the United States, according to the Centers for Disease Control and Prevention. 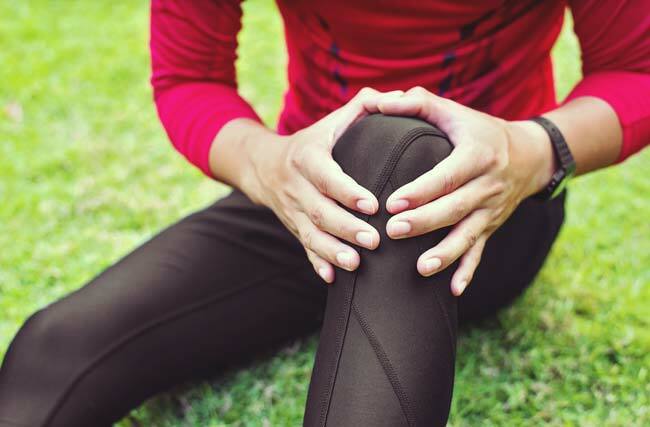 Knee pain is the most common type of joint pain, but it can be experienced in any of the body’s joints. Uncovering the source of your joint pain is the first step in effectively treating or minimizing it. Treatment methods vary depending on the underlying cause contributing to the pain. So, what exactly causes pain in the joints? A number of things. Let’s take a look at some common causes of joint pain. This condition, which affects around 27 million Americans, is by far the most common cause of pain in the joints. Osteoarthritis occurs when the cartilage surrounding the joints breaks down, which can cause the bones to rub against each other. The friction caused by the bones rubbing together triggers both swelling and pain. The risk of developing osteoarthritis is higher as you age and can be caused by overuse of a certain joint. Because of this, activity can often aggravate osteoarthritis or cause it to flare up. While this condition is “related” to osteoarthritis, the way it manifests itself is different. With osteoarthritis, the lack of cartilage causes bones to rub together, leading to pain. But rheumatoid arthritis behaves differently. This type of arthritis is a chronic disease impacting the immune system. When you have RA, the immune system rebels, causing inflammation in the joints, which leads to pain, swelling and stiffness, among other symptoms. These effects can be chronic and progressively worsen. RA is far more common among women than men, and it can strike at any age, including in childhood. Like rheumatoid arthritis, lupus is a condition impacting the immune system. For those with lupus, joint pain is one of the most common symptoms, affecting about 90 percent of those with the condition. Along with pain impacting the joints, lupus can cause the joints to stiffen, swell, and feel tender and warm. This condition also overwhelmingly impacts women, and it can have significant impacts on the entire body, including the nervous system, lungs, kidneys and heart. Like with RA, lupus can also attack the joints, causing progressive damage. You’ve probably heard of Lyme disease, but how much do you know about the condition? Lyme disease is a tick-borne illness that’s usually marked by a bullseye-like rash. Once you’re infected with Lyme disease, the condition can linger, with symptoms appearing for months or even years. Joint pain, most commonly in the knees and other large joints of the body, is one symptom caused by the condition. Gout is a type of arthritis that’s caused by high levels of uric acid in the blood. The condition can be extremely painful and debilitating, often affecting the big toe. For those with gout, episodes can last up to 10 days and are usually triggered by excessive stress or alcohol intake. Men and those who are overweight are at a higher risk of developing gout. This condition, which is related to arthritis, affects millions of Americans, predominantly women. Researchers are still struggling to identify what exactly causes fibromyalgia. But the condition causes pain throughout the body, including in the joints. Along with joint pain, fibromyalgia can also cause fatigue and issues with both sleep and memory. If you’re experiencing pain in the joints, talk with your doctor about your symptoms. He or she can work to undercover the underlying cause of your pain, whether it’s an acute injury or a chronic condition, and offer treatment options. Treatment may include over-the-counter or prescription oral medications, topical or injected medications, physical therapy, or lifestyle modifications, depending on the severity of the pain and its cause. Are you experiencing persistent joint pain? Call UT Erlanger Orthopaedics at 423-778-ORTH (6784) or book an appointment with Dr. Sanders today. 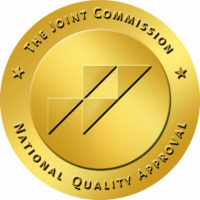 The Erlanger Orthopaedic Institute is a Gold Seal of Approval® Certified Center of Excellence for Primary Hip and Knee Replacement designated by The Joint Commission. This certification is for Joint Commission-accredited hospitals, critical access hospitals, and ambulatory surgery centers seeking to elevate the quality, consistency, and safety of their services and patient care. Having severe pain in knee have been to my regular physician and had x-ray of the knee which doctor said arthritis was the problem gave me a Cortisone injection which did not help at all also prescription meds not helping either now today the hip is also hurting. Do you have any suggestions as to what else I could do I have also been using heat pad which helps as long as I am using it. Thank you for and comments.